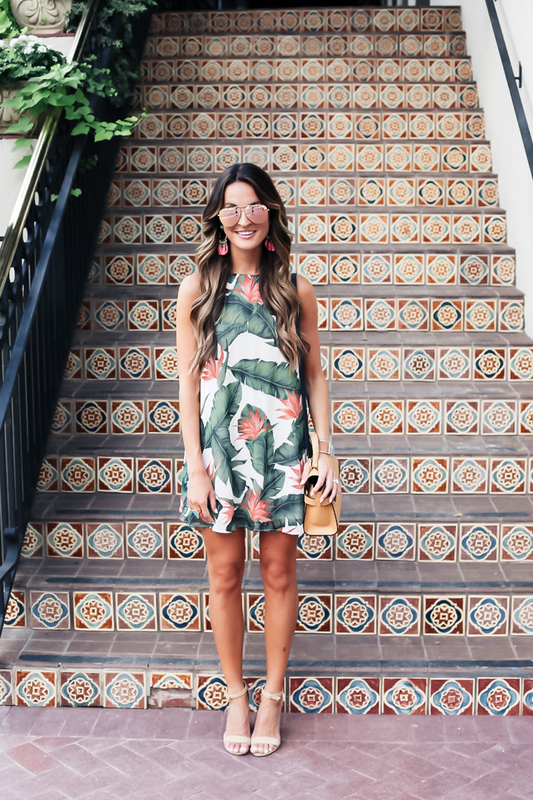 When I think of summer, I think of this palm leaf dress. I fell in LOVE with this “paradise found” print when I first saw it here, and knew I had to get it in one of the (many!) different styles! I chose this dress because it is SO versatile. 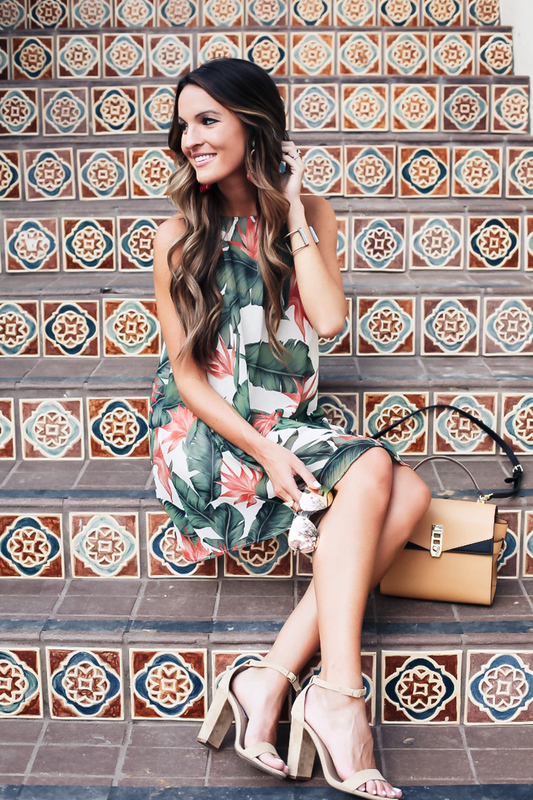 This is the perfect dress to wear to a summer wedding, throw in a suitcase for a summer vacation (literally doesn’t wrinkle at all! heaven! ), or even pair with flat sandals for just running around town on a hot summer day! 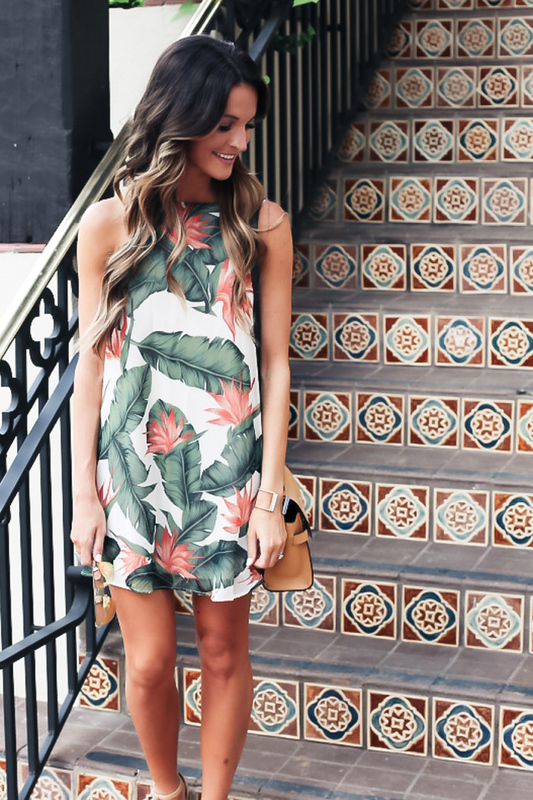 I think this green and coral color scheme in the palm leaf dress looks great on SO many skin tones and really look great with a tan! Now if I could only find a beach to wear it to! (PS for size reference I’m wearing the small! I’m usually an XS but I wanted it to fit loose, and went up a size to add a little bit of length). I love Show me you Mumu and make this dress breathtaking by pairing it with those amazing steps.